Address: Andheri, IA Project Rd, Chhatrapati Shivaji International Airport Area, Andheri East, Mumbai, Maharashtra 400099 India. 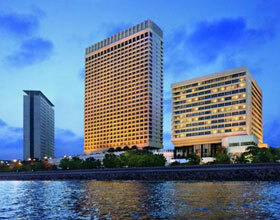 355 air-conditioned guestrooms at JW Marriott Hotel Mumbai feature minibars and coffee/tea makers. Beds come with premium bedding. Bathrooms feature separate bathtubs and showers with handheld showerheads. They also offer makeup/shaving mirrors, bathrobes, and slippers. Wired high-speed and wireless Internet access is available for a surcharge. 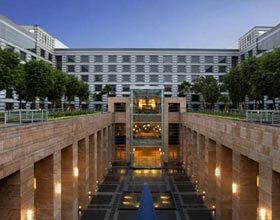 In addition to 6 restaurants, JW Marriott Hotel Mumbai offers a snack bar/deli and a coffee shop/café. A poolside bar and a bar/lounge are open for drinks. Room service is available 24 hours a day. The hotel serves hot and cold buffet breakfasts each morning in the restaurant. 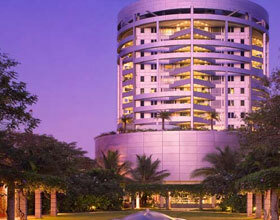 Recreational amenities include an outdoor pool, a children's pool, a health club, a spa tub, and a sauna. 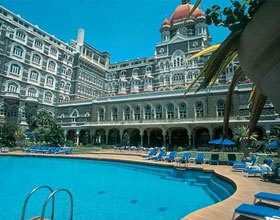 The hotel full-service health spa has body treatments, massage/treatment rooms, and beauty services. 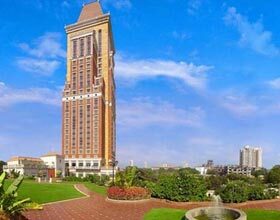 The hotel has a 24-hour business center and offers small meeting rooms, secretarial services, and limo/town car service. 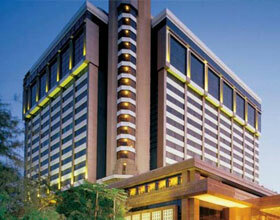 Wireless Internet access (surcharge) is available in public areas and the hotel has an Internet point. 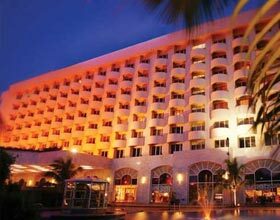 This Mumbai property has event space consisting of banquet facilities, conference/meeting rooms, a ballroom, and exhibit space. 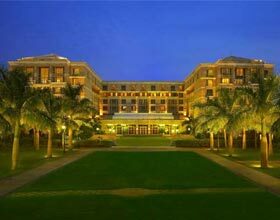 JW Marriott Hotel Mumbai is located on the beach in Mumbai's Juhu neighborhood, close to Juhu Beach, Shoppers Stop, and Versova Beach.